KEEP UP THE SUPPORT, SUPPORTERS! 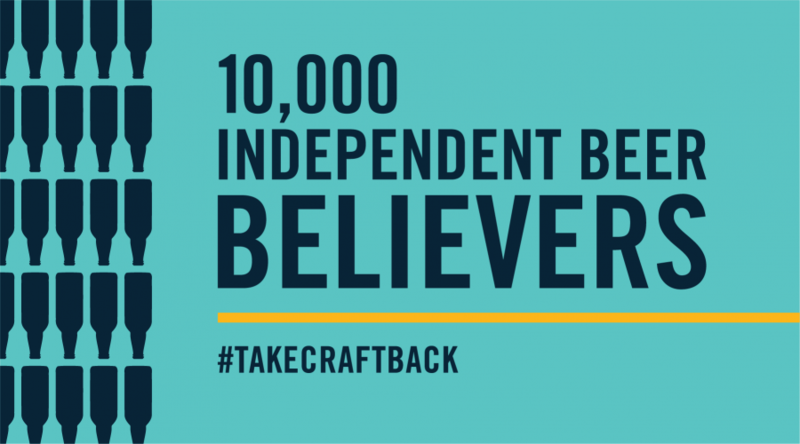 October 31, 2017 By Lara in News from Take Craft Back Comments Off on KEEP UP THE SUPPORT, SUPPORTERS! Can you believe it? 10,000 backers already! That’s 10,000 people who support transparency and community and innovation and seeing something besides Big Beer on every tap, shelf, and billboard. That’s 10,000 independent hands raising 10,000 independent beers. Maybe 20,000! If they’re feeling ambitious!